After a long drive from Wellington and two recommendations received from locals, without question we headed for the Fettuccine Brothers restaurant in Peel Street. With a bar on one side and restaurant on the other, at 9.30pm we got a table easily, although with it being the holiday weekend perhaps it may have been more quiet than usual Saturday nights. Staff were efficient and the room pleasant. 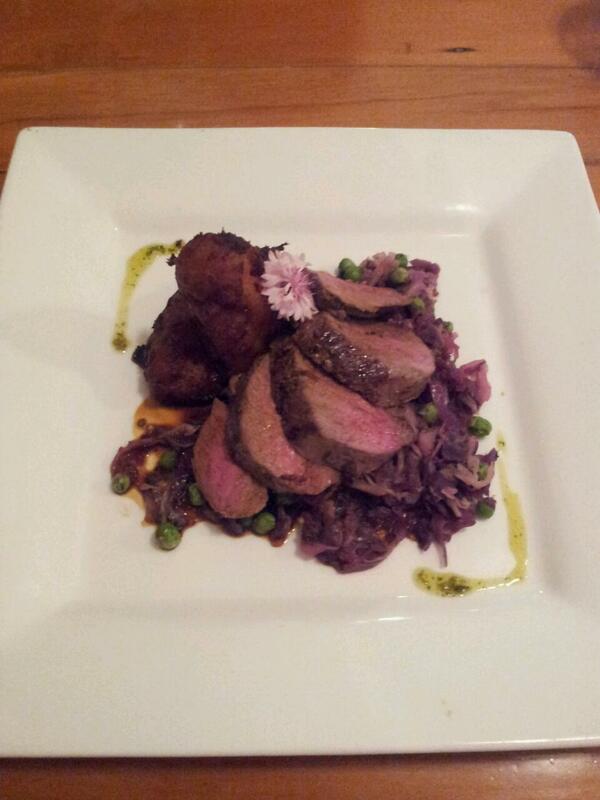 The Kiwi ordered the Agnello Codrione which is Rosemary marinated Lamb rump with braised cabbage & minted peas, red wine sauce and roasted pumpkin cannelloni ($32). The Lamb was cooked well and tasted great, the veg was nice although there was confusion on the cannelloni front as the Kiwi thought it was kumara, regardless of that it wasn’t cannelloni as my Nonna made it! 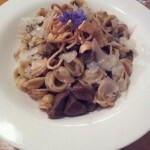 I ordered the Orrechiette Con Manzo, pasta with braised beef in a Chianti gravy with mushrooms & caramelised onions ($26). It was a good plate of food, although the pasta was overcooked – it seems pasta al dente in restaurants goes in the ‘too hard’ basket – with a nice, rich, beefy sauce but the more I ate the more I got an overwhelming taste of saltiness. The dish had a generous shaving of Parmigiano over it – despite my Italian heritage I can’t eat parmigiano – and whilst it may be traditional to have the cheese over pasta, I think it wise to state it will be in the dish so we can say hold the parmesan, if we wish. 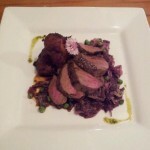 Aside from my taste, I wasn’t convinced it really would add to this rich beefy dish anyway. Parmesan lovers may wish to disagree! We skipped dessert, opting to finish off the meal with Limoncello – a very light, translucent drink arrived, in contrast to the lemony yellow I am used to, but it was delicious. I can’t say for sure whether this is connected or not, but shortly after returning home from this meal I was violently sick. Saltiness. The Kiwi was fine. 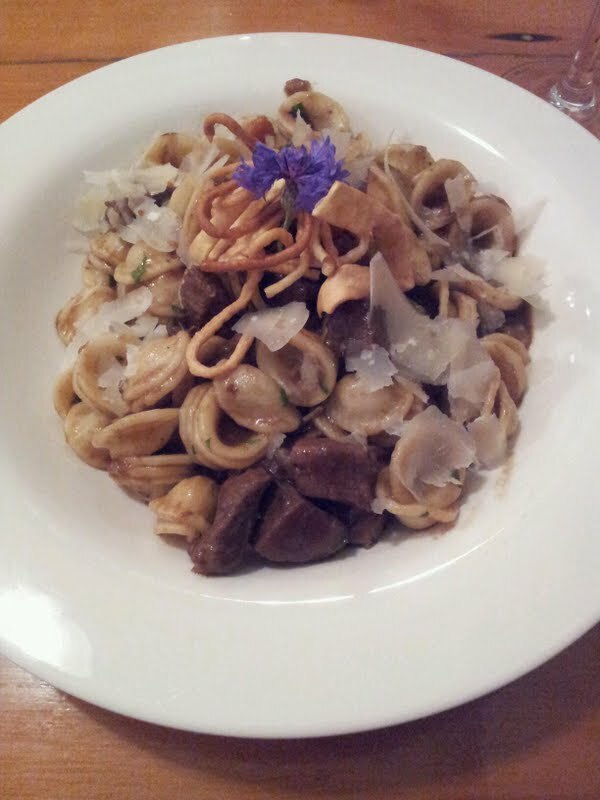 Tagged with Fettuccine Brothers, Gisborne, Italian food, New Zealand, Restaurant, Review.